Microsoft Pulse is a voting app that's integrated into Skype Meeting Broadcast. It enables meeting attendees to participate in the event in real time, which keeps them engaged and gives organizers up-to-date information about how event information is being received. With Microsoft Pulse, organizers can post questions that attendees respond to via their computer or mobile device. Response data is available immediately so organizers can see trends and make changes to meeting content on the fly. Browse to the Skype Meeting Broadcast portal. Sign in with your work or school account (e.g., seanc@contoso.com). Select the meeting or event to which you'll add the Microsoft Pulse. Determine where you want the Microsoft Pulse window to be displayed, either to the right of the video player (click Right panel app) or underneath it (click Lower panel app). In Select an app click Microsoft Pulse > Select. You have a Microsoft Pulse account. The account is free and only takes a few minutes to create. After providing account information, you'll receive an email asking you to validate your account. Once that's done, you're ready to go. You have created a Microsoft Pulse before you can add it to your Skype Meeting Broadcast. When creating the Pulse, you'll create an account nickname and event link. Keep track of those items because you'll provide them when setting up your Skype Meeting Broadcast. Type or paste the Pulse ID from your Microsoft Pulse event link (e.g., https://pulse.com/app/seanc/PlanReview). You can find this link in the Microsoft Pulse dashboard. 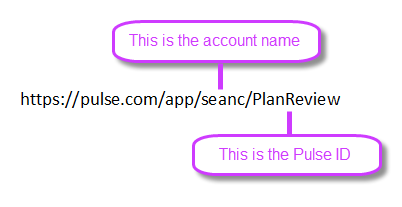 Type or paste the account name of your Microsoft Pulse event (e.g., https://pulse.com/app/seanc/PlanReview). You can find this link in the Microsoft Pulse dashboard. In the upper right corner click Done. Here's what the attendee sees when Microsoft Pulse is integrated into the broadcast. What is Skype Meeting Broadcast?